Today we’re launching a series called “Meet our Finalists” so you can get a closer look into what motivates these Power BI rock stars to keep pushing self-service analytics to the limit. The banking institution can not only look to the past to see where they have been, but they can also look to the future to see where they could be by analyzing predictions of bank deposit membership success and the call durations of their marketing campaign. Not only that, they now have access to a unique feature, market segmentation, provided by our Clustering Solution. I took inspiration from the necessity that any organization has, consuming and analyzing their data with the most value possible, in this case looking to the past, predicting the future and taking an action. What is the coolest BI project I’ve ever worked on? What is my favorite BI blog and why? Of course, the Power BI Blog, not just to look good in this picture, but it was the first blog that I began to follow seriously, because of the contest. 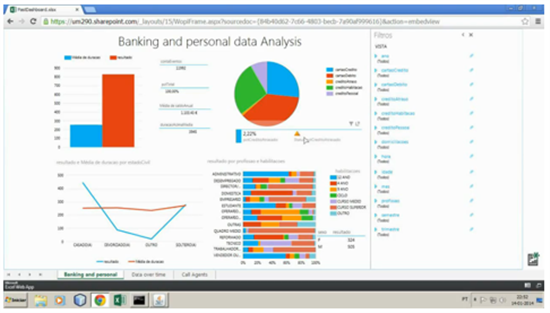 That made me follow the Microsoft BI page, and now I take notes and ideas from that. It is awesome. Apart from that I follow these groups: Business Intelligence Professionals and Big Data. What did I do before I was a BI Pro?